In 1808, French Emperor Napoleon Bonaparte met Johann Wolfgang von Goethe, the greatest German literary figure of the modern era. 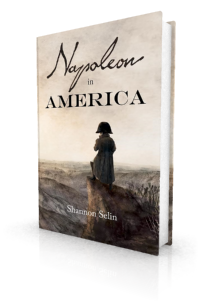 Each man admired the other, although Napoleon’s motives were not solely to greet the author of one of his favourite books. Born in Frankfurt on August 28, 1749, Goethe was 20 years older than Napoleon. His fame as a writer was already well-established by the time Napoleon came to power in France. The young conqueror read Goethe’s The Sorrows of Young Werther multiple times, and carried it in his campaign library. In 1806, Napoleon conquered Prussia. French troops occupied and sacked Weimar, where Goethe had lived since 1775. Although Goethe’s house was spared, many of his friends lost everything. Goethe reconciled himself to Napoleon’s empire, which he regarded as a legitimate successor to the Holy Roman Empire. Two years later, Napoleon organized a grand congress at Erfurt, a short distance from Weimar. It was a summit meeting between Napoleon and Tsar Alexander I of Russia, intended to strengthen their alliance. The congress was also a theatrical display of French power. “I want to astound Germany with my magnificence,” said Napoleon. (1) The attendees paying court included most of the kings and princes of Germany, and notables from across Europe. Napoleon brought his favourite actor, François Joseph Talma, and the best actors and actresses of the Comédie-Française. They presented 16 French plays, chosen by Napoleon himself. Napoleon wanted to co-opt the German cultural elite and enhance his reputation as a friend of the arts and literature. To this end, the great Goethe was invited to an interview. 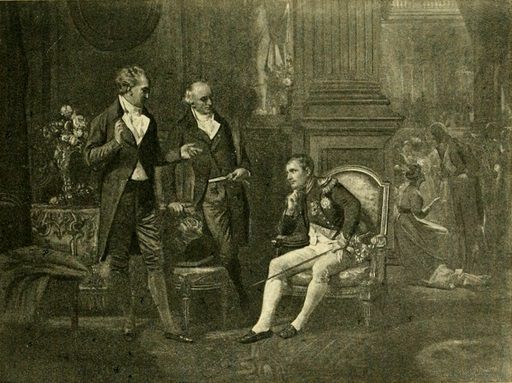 Napoleon met Goethe on October 2, 1808 in the Governor’s Palace at Erfurt. I replied the bare essentials. Daru began to speak…. He added that I had translated some French works and, for example, Voltaire’s Mahomet. The Emperor said: ‘That is not a good work,’ and went on in detail about how it was indecorous for the conqueror of the world to paint such an unfavourable picture of himself. He then brought the conversation to Werther, which he must have studied in detail. After several perfectly appropriate observations, he mentioned a specific part and said to me: ‘Why did you do that? It is not natural.’ And he spoke at length on this and with perfect accuracy. The Emperor seemed to agree with me; he returned to drama and made some very sensible remarks, as a man who had observed the tragic stage with a great deal of attention, like a criminal judge, and who felt very deeply how far French theatre had strayed from nature and truth. He turned again to Daru and spoke to him about taxes…. Marshal Soult was announced…. The Emperor rose, came straight towards me and, by a sort of manoeuvre, separated me from the other people in the line in which I found myself. He turned his back to those people and spoke to me, lowering his voice. He asked me whether I was married, whether I had children, and other personal matters. He also questioned me on my relations with the house of the princes, on the Duchess Amalia, on the prince, and on the princess. I replied in a natural manner. He seemed satisfied, and translated for himself these replies into his language, but in slightly more forceful terms than I had managed. Napoleon met Goethe again on October 6, this time at Weimar, in the company of fellow writer Christoph Martin Wieland. On October 14, Goethe and Wieland were each awarded the cross of the Legion of Honour. Goethe revealed no details about about his conversations with Napoleon until many years later. Goethe died on March 22, 1832, at the age of 82. Charles-Maurice de Talleyrand, Mémoires du Prince de Talleyrand, Vol. I (Paris, 1891), p. 402. Johann Wolfgang von Goethe, Oeuvres de Goethe, X: Mélanges, translated by Jacques Porchat (Paris, 1874), pp. 307-309. Johann Peter Eckermann and Frédéric Jacob Soret, Conversations of Goethe with Eckermann and Soret, translated by John Oxenford, Vol. II (London, 1850), p. 40. Napoleon was reading all the time. He certainly was a voracious reader, John. As a great admirer of Napoleon, this page is like a candy store to me. There is so much to read that I spend almost my whole free time reading your articles. I am very happy that I found your page and thank you. Thank you, Samir. That’s so kind of you to say. I’m glad you’re enjoying the site. Interesting article and well written. A nice reading for Napoleon fans as in my case. Thanks, Chorch. Glad you liked it. I had no idea Bonaparte was such a reader. I assumed that he read about great generals and rulers, but I didn’t know about the literature. Neither did I, until I started doing the research for Napoleon in America. I’m impressed that he read so much, given all the demands on his time. Thanks for yet another fascinating insight into Napoleon’s life and character. So glad I found this blog! Thanks, Christoph. I’m glad you’re enjoying the blog. This is very interesting, and would be even more so if the material were a bit more explicit in places. For example, what did Napoleon mean by “fatalistic plays”? Oedipus? Macbeth? Or something more ephemeral? I think Goethe failed to see the dark side of Napoleon, though. You always share such great info! It should be noted that the opinion of Goethe among his fellow Germans was sorely tested by his gushing approval of the Corsican conqueror. That he who trampled the sacred soil of Hermann the Cherusker and Frederick of Hohenstaufen should be raised high above all! Sacrilege! He was to be amply forgiven by his generation and those to follow by the virtuousity of his prose. But they could not forget. They could never forget! Like many before me, I am loving every article I’m finding in this site. 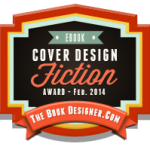 Thank you for such a tremendous amount of work you’ve dedicated to this! I’m still working the rounds of much of what has been written so far, but I am quite curious about how Napoleon was viewed by the Prussians before WW1. I remember reading somewhere that Kaiser Wilhelm II greatly admired Napoleon, and wanted to receive the Legion of Honor and be invited to view Napoleon’s tomb, which never happened and was one of the sources of his bitter relations with the French, albeit relatively minor. Are there any truths to these? Thank you! Thanks, Jolo, I’m glad you’re enjoying the site. You pose a good question, to which I don’t know the answer. According to biographer John Röhl, in 1891 the Kaiser said at Erfurt, “In this place the Corsican parvenu utterly humiliated us and dishonoured us abominably, but it was from this place too that the beam of avenging light shot out in 1813 and struck him to the ground.” (Wilhelm II: The Kaiser’s Personal Monarchy, 1888-1900, p. 366) This doesn’t make him sound like much of an admirer. Perhaps some readers of this post can comment with more expertise. Once again, a nice article. Napoleon’s remark “vous êtes un homme” continues to somewhat intrigue me. And here I go again: Goethe also met Napoleon’s brother Louis in 1810. The encounter is described by Goethe in very positive terms. Thanks, Pim. I didn’t know about Goethe’s meeting with Louis. I’ll look that up. While on the continuous search to know more about this interesting man this is the third time I’ve unknowingly stumbled across one of your articles on Napoleon. The last two being the same as the first where I tell myself “Hey this is great. Where am I, and who wrote this?” Only to realize I’ve been here before! Thanks, Inigo. I’m so glad you’re enjoying the articles. Both men chose their words carefully. Why did Talleyrand live in Kensington Square? After Louis XVI was arrested in August 1792, Talleyrand knew that he too was in danger of being arrested, so he fled from Paris to London (he had earlier been there on a diplomatic mission, trying to prevent war between France and England). A number of French émigrés went to England at the time, to escape the French Revolution. Talleyrand lived in London until early 1794, when he was expelled by the British government. He then went to the United States. Both N and G were anti-Romanticism and favored Classicism, G’s Weimar Classicism, for example. G finally rejected Romanticism because he didn’t approve of the literati-intelligentsia messing around with old Germanic fairy spinnings and trips to the countryside to swoon over daffodils. He and N agreed on a progressive, technocratic future grounded in things Hellenistic classical. But N was defeated and G’s Weimar Classicism never really took off. What I call MEFM (medievalist euro-fairy mysticism) continued, and to this day still commands great following (e.g. Rowling, Tolkien). Check out Caspar David Friedrich’s “Chasseur in the Forest,” which symbolizes the French lost in the Brothers Grimm’s backyard. Thanks for this analysis, Lawrence. I like the term “medievalist euro-fairy mysticism.” For readers who are interested, here’s a link to Friedrich’s “The Chasseur in the Forest”: https://www.wga.hu/html_m/f/friedric/2/206fried.html. In the aftermath of Jena, Prussian troops stormed through Weimar, followed closely by the French. It was at this point that Goethe really feared for his property, particularly his books and manuscripts–he thought, and probably with good reason, that they would become fuel for bivouac fires. So he sent a brave friend to Ney’s HQ to ask for protection. Ney blew him off, apparently with more on his mind that books. Marshal Lannes overheard the request and sent a contingent of grenadiers to surround Goethe’s house and keep it and its occupant safe. “Shoot anybody who tries to get over the garden wall,” he said, and meant it. Goethe was apparently happy with his guards, and asked Lannes to dinner. I can tell you they didn’t discuss literature; the marshal’s reading material was at that time mostly Berthier’s orders. In 1808, in addition to meeting and greeting Napoleon, Goethe again invited Lannes to dinner several times and as his guest at the performance of Corneille’s Oedipus, a play way outside the marshal’s comfort zone. Thanks for these details, Margaret, and thank goodness for Marshal Lannes! I have to smile trying to picture him at the theatre with Goethe. I hope that interested readers who would like to know more about this episode will read your excellent biography, The Emperor’s Friend: Marshal Jean Lannes.